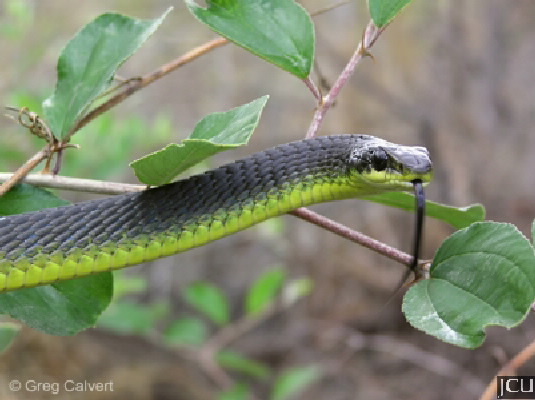 This common snake is harmless, readily recognised as it is an agile snake with a very slender body and tail. The body colour varies from green to olive-green to black, frequently pale yellow on the throat and belly but other pale colours have been noted, blue flecks are present on the flank. Eyes are larger than in most snakes. Found in a variety of habitats ranging from rainforest to woodland to urban areas where it preys on fish, frogs and small animals.